According to Legal Newsline.com and as reported in the 2010-11 Judicial Hellholes report, the original case centered on allegations that the makers of the antipsychotic known as Risperdal made more than 35,000 separate efforts to mislead or defraud doctors to whom it marketed its drug. More than 7,000 letters and 27,000 sales calls paid to Louisiana physicians allegedly overstated the drug’s benefits and understated its risks for side effects. Jurors were convinced by the personal injury lawyers hired by the state’s attorney general to prosecute the case that the defendant should pay the state $7,250 for each letter and sales call. 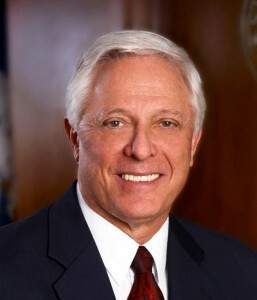 Thus, as shown by Legal Newsline’s reporting, some Louisiana courts now seem to be actively aiding and abetting in Attorney General Buddy Caldwell’s coz y pay-to-play arrangement with the private-sector contingency-fee lawyers he hires to sue various defendants on behalf of the state and who, in turn, make generous contributions to his political campaigns. A recent Judicial Hellholes website post details a similar case, the contingency-fee element of which is now being challenged by defendant GlaxoSmithKline LLC. GSK seeks a “preliminary and permanent injunction,” barring prosecution of the state’s lawsuit against it pursuant to the fee arrangement AG Caldwell has with outside counsel because, GSK argues, that arrangement violates: the Louisiana Constitution’s separation of powers doctrine, procurement requirements mandated by state law, and GSK’s rights to Due Process of Law as guaranteed by the Fourteenth Amendment of the United States Constitution and Article 1, Section 2 of the Louisiana Constitution. If GSK’s petition is successful, the pay-to-play jig could be up for AG Caldwell and his cronies from Houston’s Perrin & Bailey law firm and many others.